Modern Grunge OOTD. 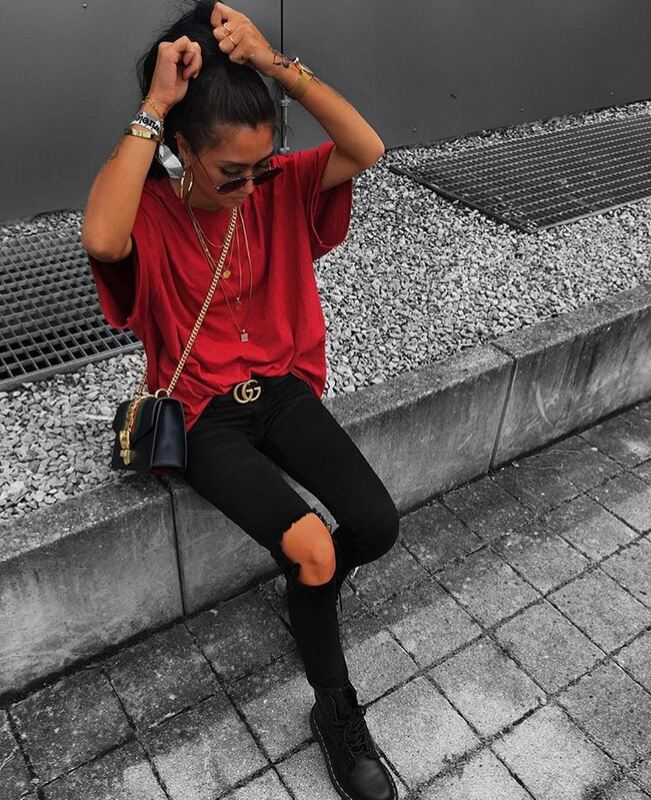 Check this simple combination that consists of a dark red oversized T-shirt half-tucked in black ripped skinny jeans. Add black leather combat boots, layered necklaces, and hoop earrings.